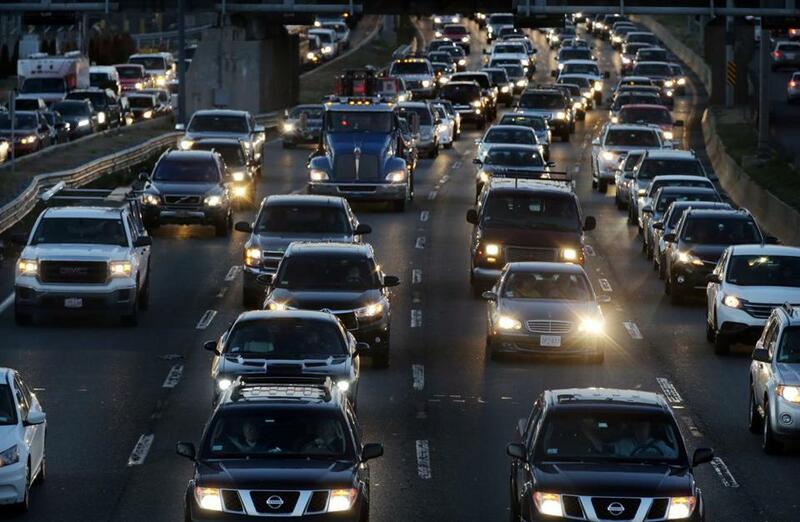 Rush-hour traffic on Interstate 93 south of downtown Boston. A long-debated idea to improve public transit and cut down on crippling traffic has gained fresh momentum in New York, where Governor Andrew Cuomo is exploring new tolls for entering Manhattan. But a recent poll of 709 Massachusetts voters finds that enacting higher rush-hour tolls around Boston — a so-called congestion charge, already in place in cities like London and Singapore — would be a tough sell. Just 38 percent of those polled support raising tolls during rush hours as a way to decrease traffic, while 55 percent oppose the idea, according to the poll, paid for by the Boston-based Barr Foundation and conducted in conjunction with the Transportation for Massachusetts advocacy group. However, and perhaps unsurprisingly, many voters would support a different tactic to lighten the rush-hour load: lowering toll rates outside of peak periods. Sixty percent said they’d support that idea, compared to 30 percent who would oppose it. 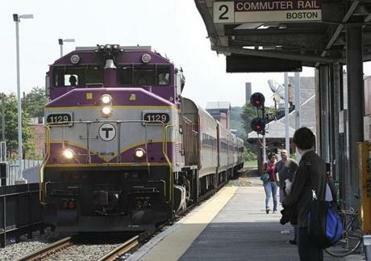 Chris Dempsey, executive director of Transportation for Massachusetts, said the state should consider the discount idea. Today, the toll roads into Boston — the Massachusetts Turnpike, the Tobin Bridge, and the East Boston tunnels — are priced the same regardless of the time of day. After ticket checkers fanned out to North Station platforms last year, they’ll now expand to Back Bay during the afternoon rush. Yet transportation advocates like Dempsey have treaded quietly around the concept of congestion pricing, worried about the political ramifications of adding or raising road fees. Dempsey asserted the public may also not trust the state with transportation projects, still feeling burnt by the cost overruns and disruptions of the multibillion-dollar Big Dig highway project, which ended more than a decade ago. So a small project like congestion pricing based on lowering rather than raising tolls would be a way to rebuild trust, “proving to the public we can actually improve their quality of life through better transportation,” he said. Officials would be better served thinking of adjustable toll rates as a way to manage traffic rather than a way to raise revenue, he added. The wide-ranging survey on transportation matters revealed tension among voters who want to have a better transportation system but are reluctant to pay for it. While 81 percent said they supported the government “raising new money” to invest in and improve the transportation system — a question notably phrased to avoid the terms like “higher taxes” or “higher fees” — the majority balked at the idea of increasing rush-hour tolls. Although 94 percent of voters said improving highways, roads, bridges, and public transportation should be a priority for state government in Massachusetts, 90 percent said keeping taxes as low as possible should also be a priority. In November, voters may get the chance to raise taxes on incomes over a million dollars a year to fund transportation and education projects, though the proposed ballot question first faces a stiff court challenge. If it makes it to the ballot, it is poised to have extremely broad support, polling has found. In 2014, voters shot down a plan to increase the gas tax automatically by tying it to inflation rates. New York’s government is pushing for an $11.52 toll to enter a large section of Manhattan, in a quest to better fund the city’s ailing subway system. London has imposed a daily charge of about $16 to enter the main section of the city, which has led to traffic reductions. Unlike Boston or New York, London’s mass transit system is already highly reliable, though new funding for transit was one of the key arguments for London’s charge when it was introduced in 2003. A Northern Virginia highway also uses an toll that charges more based on the level of traffic at a given moment. It has occasionally topped $40 to enter Washington, D.C. The Massachusetts Port Authority is studying a potential fee for drivers entering Logan International Airport as part of an agreement with an environmental advocacy organization, but officials there seem reluctant to embrace the idea. Ride-hailing companies like Uber and Lyft, which appear to be adding cars to Boston’s rush hour, will soon begin paying a fee for each ride to fund a combination of city and state transportation needs, as well as a fund to help the struggling taxi industry. But some advocates say the per-ride fee the companies will pay — 20 cents — is too low to meaningfully help. Meanwhile, the Boston Transportation Department said it is not pursuing any congestion charges. Boston officials are, however, exploring another way to increase fees to cut down on congestion: through parking meters. The Back Bay recently saw an 11 percent increase in available parking spaces and a similar drop in double-parking after testing meter rates of $3.75 an hour, a $2.50 hourly increase. Some city councilors are also championing charging for residential parking permits that are currently free as a way to better fund the broader transportation system. Adam Vaccaro can be reached at adam.vaccaro@globe.com. Joshua Miller can be reached at joshua.miller@globe.com.